Creative Director, Director, Choreographer, Writer and Entertainment Consultant. Seven-time award winning Director and Choreographer, Bart Doerfler is currently the Artistic Director for Stage Entertainment and Holiday on Ice. He is also a Show Director and Writer for Universal Studios Hollywood as well as the Director and Choreographer of “Honu by the Sea” with Johnson Entertainment in Honolulu, Hawaii. 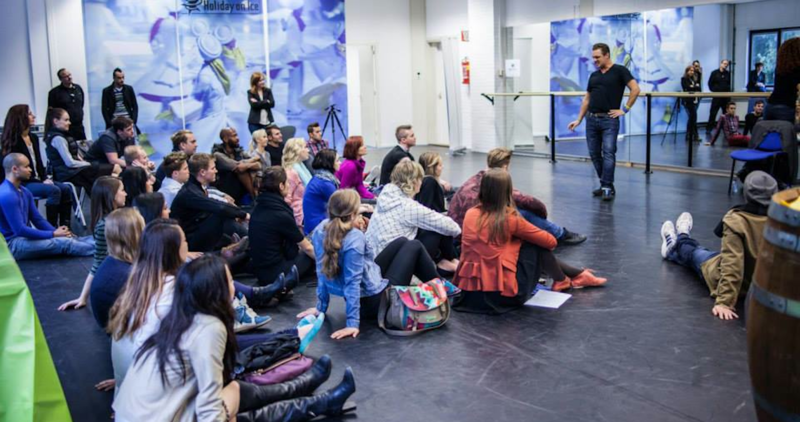 Recently, Bart was the Creative Director, Choreographer and Writer of “Passion” for Stage Entertainment and Holiday on Ice for the 2104/2015 World Tour and was the Creative Director and Choreographer for “Grease the Arena Show” with Music Hall Events in 2014. He directed, choreographed and wrote the record-breaking tour “Speed” for Stage Entertainment and Holiday on Ice in 2011/2012. Other shows include the award winning “Country on the Rocks” and “Malibu Beach Party” for Hard Rock Theme Park, as well as “Chopper Betty’s” and “The Vamps Girlie Revue” in Las Vegas. Bart was the creative force behind “Country Fever”, “Country Gold”, “Mud Flap Mama” tour, “That’s Dancin’” and “Aireus”; which was awarded the Nevada Theatrical Entertainment Award for Best Choreography and Best Show two years in a row. Creative Director and Choreographic credits include “Elmo’s Halloween Character Parade”, “Happy Snow Party”, “Ladder Up”, “Coast Guard”, “Hello Kitty Things I Like” all for Universal Studios Japan.